Is it beer? Is it Sprite? It’s both! Germans sure do like to mix their beverages. While I would get funny looks in the US if I asked for a mixture of pilsner beer and Sprite, that’s exactly what people often do here. In fact, there is a name for it. 1. Weinschörle – red or white wine mixed with soda water. 2. 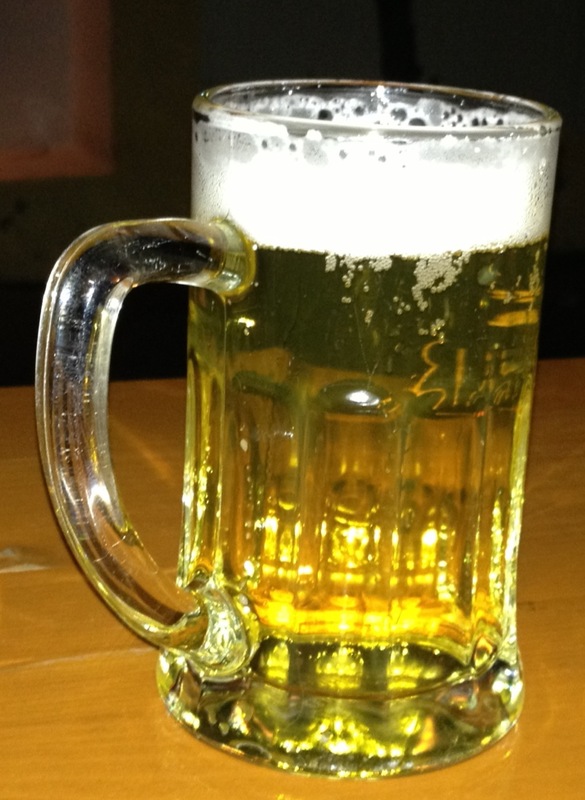 Weizenradler – hefeweissen beer with Sprite. Erin likes it, but it’s too sweet for me. 3. Colaweizen – hefeweissen beer and coca-cola, a terrible combination. 4 Apfelsaftschörle – apple juice and soda water. Basically, carbonated apple juice, and it’s actually pretty good! 5. Orangensaftschörle – orange juice with soda water, and maybe you see the pattern here. I’m not sure what it is with Germans and ensuring that everything they drink fizzes. I think they’ve got a few good ideas, but there are some that should probably be retired. Would you try any of these? I like fizzy orange drinks: mimosas! Water mit gas too! Don’t forget that. For the record, *I* like Colaweizen!